LUXURY CONDO LOCATED ON THE 21ST FLOOR WITH AMAZING CITY VIEWS, 24 HOURS SECURITY, POOL, AND EXERCISE ROOM. 37TH FLOOR LOUNGE FOR YOUR PERSONAL ENJOYMENT, OR A PARTY WITH YOUR FRIENDS! ASSIGNED STORAGE AREA, AS WELL AS ASSIGNED 2 CAR SPACES IN ADJACENT GARAGE. DESCRIBES THIS LIKE NEW 2 BEDROOM, 2 BATH HOME WITH OFFICE, STATE OF THE ART KITCHEN, HARDWOOD FLOORS, SS APPLIANCES, GRANITE AND BALCONY. IN THE HEART OF VIRGINIA BEACH TOWN CENTER. Ready to visit 4545 Commerce? Request a free property tour! Send me more information about the listing at 4545 Commerce Unit 2105, Virginia Beach, VA 23462, MLS# 10176461. This 2 bedroom, 2 bathroom home located at 4545 Commerce Unit 2105, Virginia Beach, VA 23462 has approximately 1,688 square feet. It is currently listed for $429,900 and has a price per sqft of $25,468. This home is currently Off Market under the MLS#: 10176461. This listing is provided by Long & Foster Real Estate Inc..
4545 Commerce Street, Virginia Beach was built in 2007. It has Parking Gar, 2 Space, Assigned/Reserved parking.The kitchen includes Dishwasher, Disposal, Dryer, Microwave, Elec Range, Refrigerator, Washer. 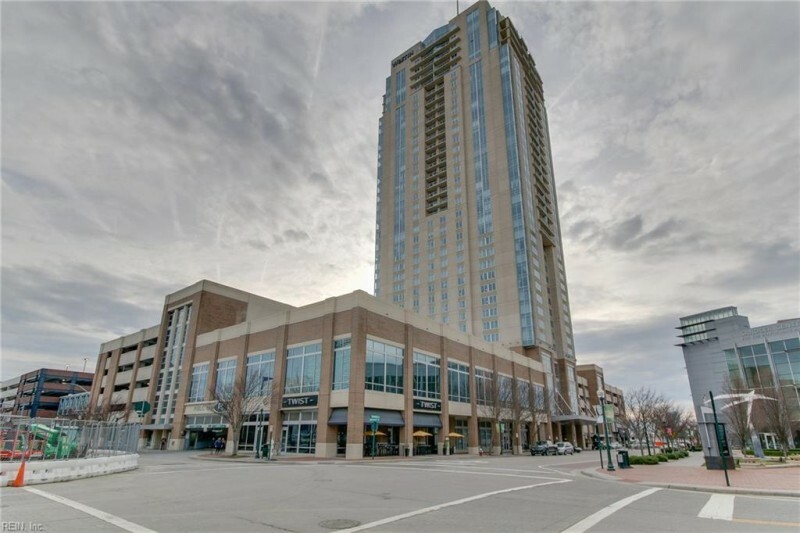 4545 Commerce is part of the Westin Residences @town Center neighborhood located in 23462.